On September 7, 2018 HREC hosted a webinar for researchers interested in postfire opportunities on site.  Below you will find links to the recorded webinar, powerpoint slides and resources mentioned in the webinar. 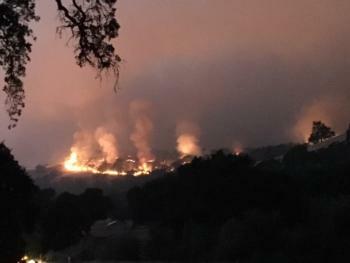 As part of the Mendocino Complex fire, the River Fire burned through HREC on the evening of July 27 and into July 28. Approximately 3,000 acres of our center burned in this fire. 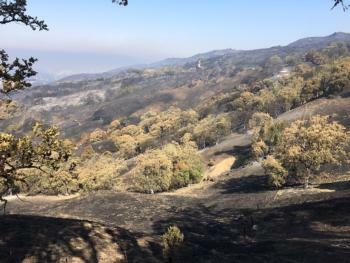 Due to the concentrated efforts of Center staff and Cal Fire crews, all of our employees, residents, sheep, livestock dogs, offices and residences were saved. Attached please find the burn map of our property. 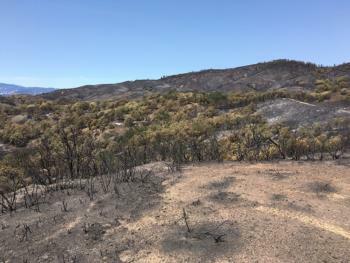 All of the black area to the north was burned and the dark red patches were areas of vegetation that remained unburned. The fire intensity varied greatly as did oak survival. You will see two smaller burned areas in the southern part of the property that were prescribed burns performed in June of this year. These pictures and 360 drone footage give some sense of the impact to our site, various management techniques employed at HREC including prescribed burns and grazing. 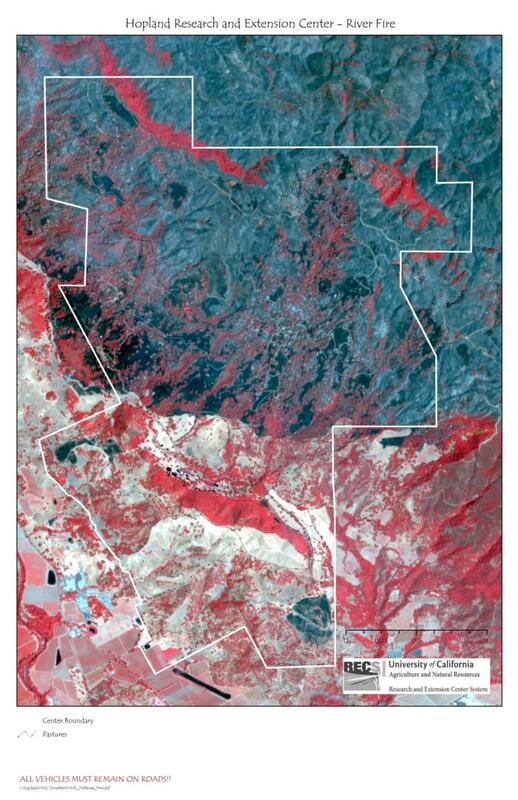 The red is existing vegetation. 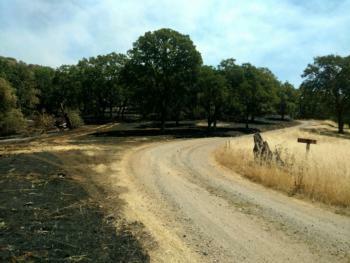 Many of the oaks did not burn. Brighter red indicates untouched green foliage, fainter red indicates some damage. Black areas are burnt grasslands, gray areas are primarily chaparral or chamise. The two separate black areas are where we did prescribed burns this June. The white spots are ash indicating where a tree did burn. Thanks to Shane Feirer of iGIS for putting this together.